She stopped me in the parking lot. Dressed in a black shift dress, she had just been to a funeral for a beloved saint of our church, someone full of light that would be gravely missed. "I wanted to stop you because I'm leaving on a jet plane, like I'm on my way to the airport right now." Moving out of state. Funeral. No time but the present to say, in the words of John Mayer, what you need to say. "I just wanted to tell you that everything you are posting on Instagram is super encouraging and I see that God is doing something. You may not realize that you have a ministry and many will be blessed by it. Our church has a new generation of young believers and they need to see what God is doing in your life. All the books you are reading and the work you are doing, it is messy stuff. It's not cute. (I mean the pictures of Titus are cute). But It is miserable sometimes. He is building you a platform. He wants to take you down deep, cut you down and rebuild your roots, because when he raises you he wants you to be powerful. He doesn't want feathers in leadership. Because the wind just blows harder the higher you go." Two days before this encounter, I told the gals in my house church I was dealing with perhaps the saddest and loneliest time of my life. The theme lately had been that God was taking every possible way for me to be filled so He could fill me with himself. I was incredibly sad, feeling left out. I felt myself running the old hamster wheel again. Trapped by doing things over and over again that left me feeling empty, but that I know He was calling me to. Hunkering down during another ear infection and strep throat in November 2015. She said messy. I pictured the mountains of dirty kleenex overflowing in my car doors, my zitted face and falling down hair bun, masking the unwashed, not cut for a year hair. I pictured making double doses of food for my house church and coming upstairs to finding my dog had chewed up all the dirty diapers and strewn them all over the hallway. Miserable. I pictured my child screaming in the middle of the night, unable to be comforted and sleepily, anxiously giving him another dose of antibiotics that I wasn't sure would help him or not , or possibly even make him feel worse. I pictured Tim leaving for a PhD class having just returned from a full day of work. I pictured leaving meetings and get togethers early because my son needed me, because Tim had homework, because it isn't about me anymore. I picture single and newly married women at a bridal shower getting a glazed look in their eyes when I started talking about Titus. I pictured the plummeting numbers on the scale and asking myself if I had remembered to eat that day. Messy and miserable. I pictured my heart, clearly knowing God had called me to each thing that is draining everything from me. Marriage. Motherhood. Teaching and loving littles at church. House church shepherding. Writing. And I pictured Jesus. I saw him loving the messed up and miserable. He has never been cute. He poured himself out. Completely emptied. He loved children. He was alone, but never really. The Father was with him. He often prayed by himself to focus on the will of his Father. He asked that the Lord would take the cup from him but bravely went forward to die the most messy, miserable death of all. 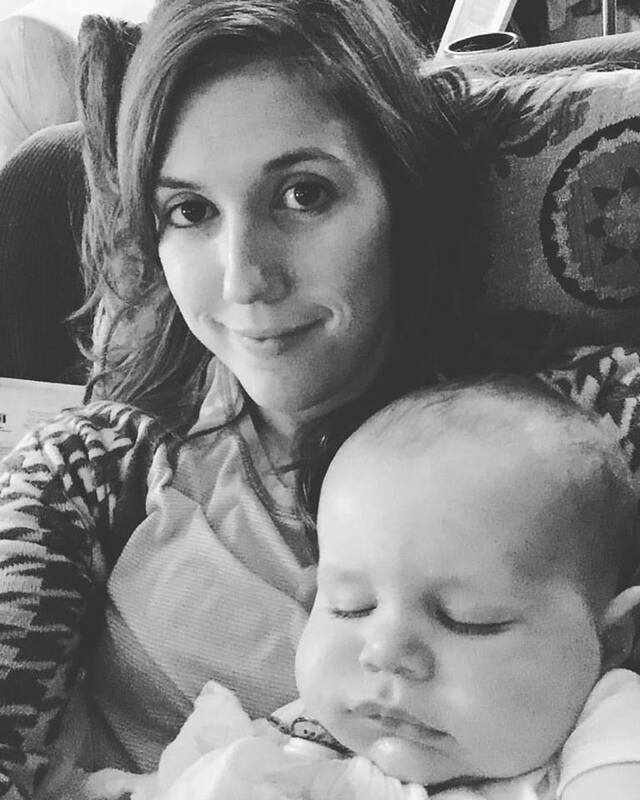 I don't know where this post finds you, but if you are in the messy, miserable, emotional postpartum ride like I was, or whether you are going through something entirely different. Can I meet you in the parking lot of your life and pray with you? I prayed this prayer that day. Can I pray it with you? Lord, I would rather you take this cup from me. I know you are entrusting me with something big that you are preparing for me. I weep thinking what more crosses you want me to bear, but I smile with thinking how it might bring you glory. Help me to see your work in the messy, small, lonely, everyday empty places and how you are using it to build your kingdom.